Hiking can be great fun, and a wonderful source of exercise. It’s an easy activity to take up, but it does take may years of experience before you can start doing it on a professional level, and that means getting all the help you can get. 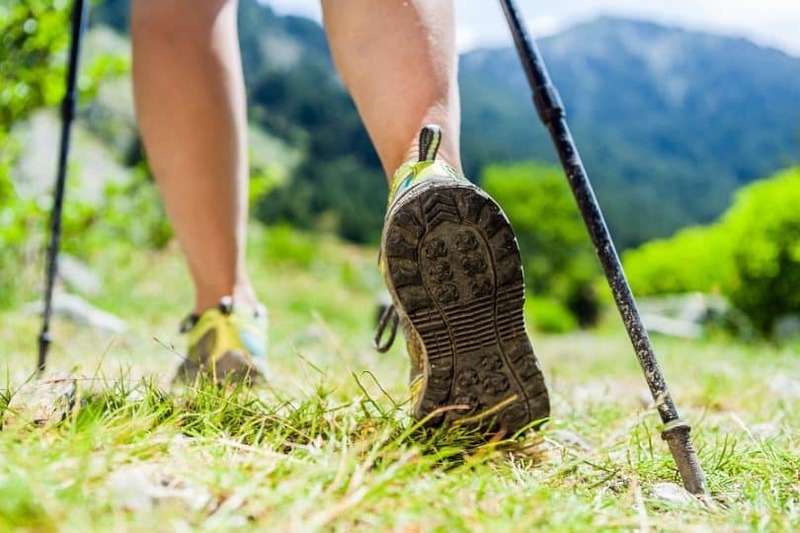 From professional hiking guides to finding the best boots, you may have never considered the benefits of learning how to use walking poles to help you get around on that rough terrain. However, with this guide to help you, you can learn how to look for the best hiking poles for you, as well as learn the proper way to use them. A lot of people think that the use of hiking poles makes them look unprofessional, that if they wanted to get a real workout, they would do better without it. 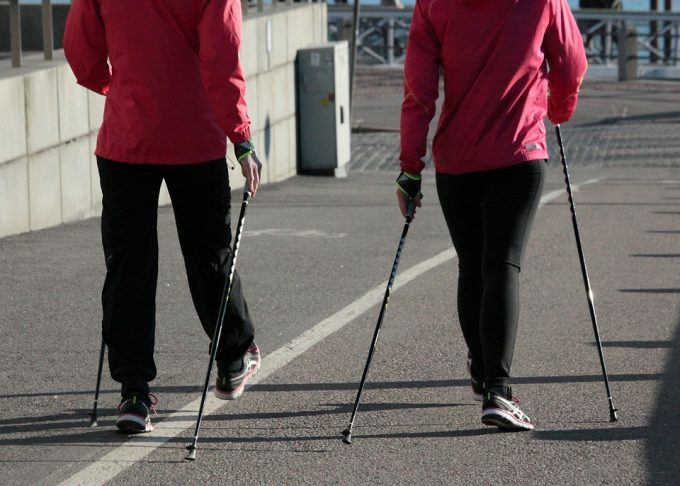 However, the use of walking poles can actually help you get more exercise. 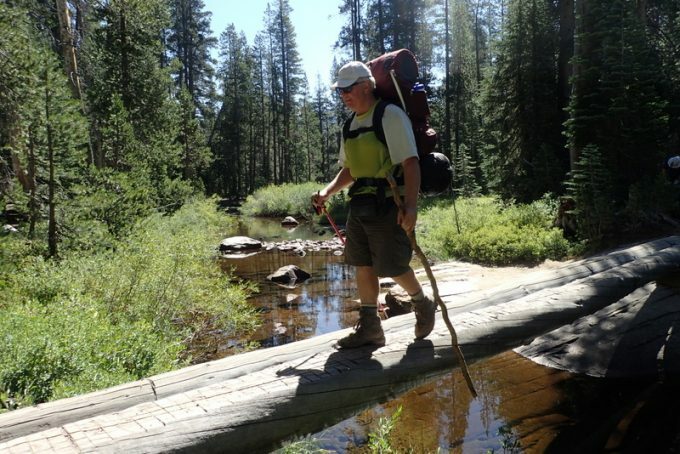 So how exactly do walking poles improve upon your hike? trekking up hills is easier: steady inclines can be killers on your knees and hips, and you could tire out before you’ve even gone halfway. However, poles can help you to get the momentum of your upper body going, making it easier for you to get up those challenging hills. Pushing off from the poles will give you more forward movement, putting more of the pressure on the poles instead of your knees. provides support for your knees when going downhill: going downhill is the same thing; the sudden drop to a lower plane can create a lot of pressure inside your knee joint, and result in a lot of pain afterwards. Instead, using your poles to lower yourself down will save on your joints and minimize the comfort and fatigue you’ll experience once you get to the bottom. improve traction on slippery slopes: even the best hiking boots can wear away over time, especially the traction at the bottom. Instead of putting all of your eggs in one basket when it comes to not slipping, your poles can provide an added benefit in ensuring you don’t fall. 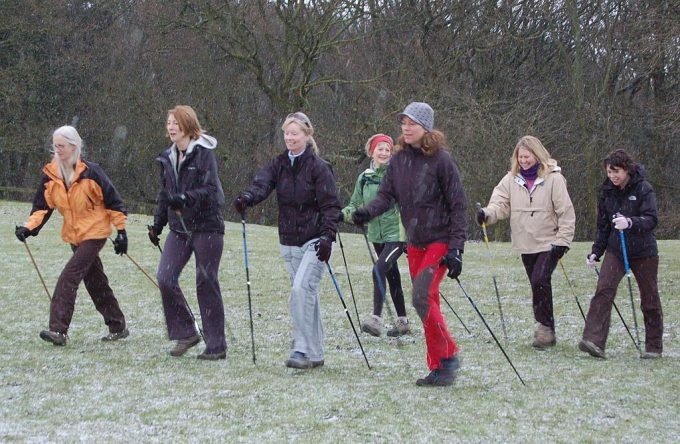 Whether it’s been raining or snowing, your walking poles will alleviate some of the pressure in staying upright, and will help you to save more of your energy. No one wants to prematurely end a great hike because they’ve fallen and sprained an ankle. improving endurance: because of the minimization of pain and stress on your joints, you’ll start to go farther and much more quickly with your hiking poles than you would without them. That means you can get to your destination and back in a lot less time, so you can squeeze even more activities into your day. improving your workout: instead of relying on only your legs to get the job done, the use of walking poles will engage your upper body as well, so you can get a fuller, more rounded workout for your entire body. Considering all of these added benefits to your hiking experience, why wouldn’t you want to include them in your hiking gear? In learning how to use hiking poles, you may come across a wide variety of purposes that can make your hiking experience much easier. See? The use of trekking poles are seemingly endless, and it’s possible that you may be able to come up with even more uses outside of this list. 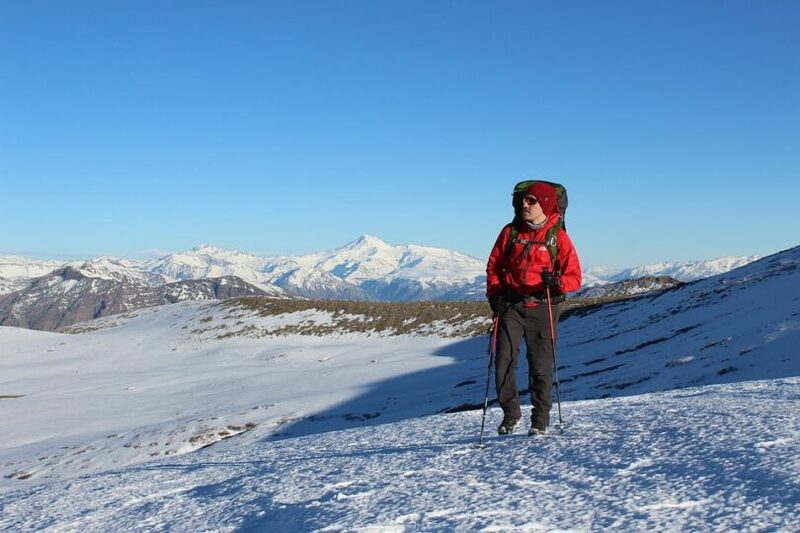 Once you’ve purchased the right gear, here are some hiking pole tips you should keep in mind to ensure that your purchase will be put to good use. Check out our top hiking poles to give you more choices and options. You may think that your poles will be ready to use when you take them out of the box, but you couldn’t be more wrong. Not everyone is built the same, and your poles are exactly the same way. They need to be adjusted in order to account for your height so that they’ll be comfortable when you use them. In order to find the right length for your poles, it depends on the kind of pole you’re using. general pole: set pole height so that when you place the tip by your foot, your elbow is roughly at a 90-degree angle. If you know you’re going to be going over difficult terrain, you may want to make it a little shorter so that you can clear plants and rocks much more easily. three-tier pole: set the top adjuster so that the upper section is only telescoped halfway. Adjust the lower section so that you find the right height. Any further adjustments should be made with the top adjuster. The reason for these adjustments is that your elbow is capable of carrying more load when it’s at a 90-degree angle; a smaller or larger angle will put too much strain on your arms muscles and result in a lot of pain and discomfort. There is, indeed, a wrong way to hold your poles that will tire out your hands and make your poles more of a burden to carry than they should be. It’s an easy process to learn, and with some practice, you’ll get used to this style of carrying your poles. This method helps you achieve a smooth gait while reducing the work and stress of your hands. And if you happen to lose your grip on your poles, the straps on your wrists will prevent you from losing them. You’ll conserve more energy by keeping your arms by your sides, rather than flailing them around. You’ll also maintain more balance because the feet of your poles will be focused on the centre of your path. Although using trekking poles may seem simple, there are a wide variety of ways they can be used during hiking. Each method is different for everyone, so it’s a matter of personal preference which ones feels most comfortable to you. 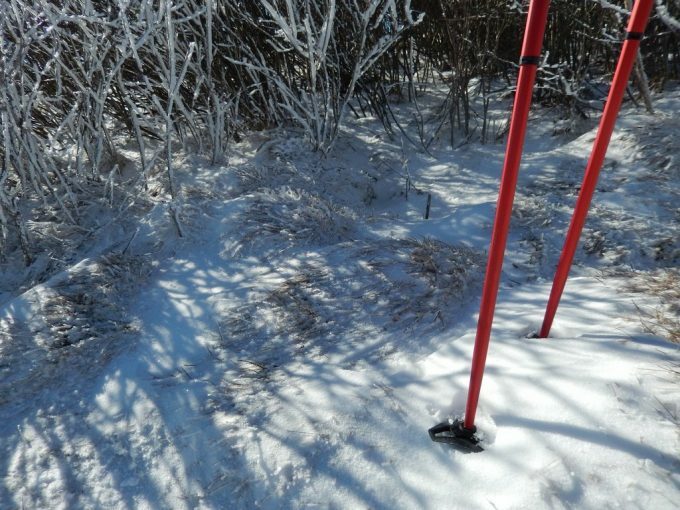 First, in moving your poles, you should remember to keep your limbs squarely at your sides. Then, jog the arm up slightly so that the pole swings forward naturally. Swing the arm down again to plant the tip. Alternatively, you can move the pole with a slight flick of your wrist. Either method works just as well, and will help you save on energy. alternate: this is when you move the pole opposite of the leg you’re stepping on. This will help you to maintain balance and lets you move naturally as if you were walking. parallel: this is when you move the pole that is on the same side as the leg you’re stepping on. You can use this method when you need to provide relief for your legs when they are fatigued. double: this is when you move both poles forward at the same time. It’s good to use when you’re stepping up or down to a higher plane during your travels, and can be used to gauge the structural soundness of what you’re stepping on. You’re free to switch up these patterns as much as you like in order to ensure your comfort and preserve as much of your energy as possible. Other than learning the patterns that can be used with your hiking poles, it’s important that you also learn the different techniques. 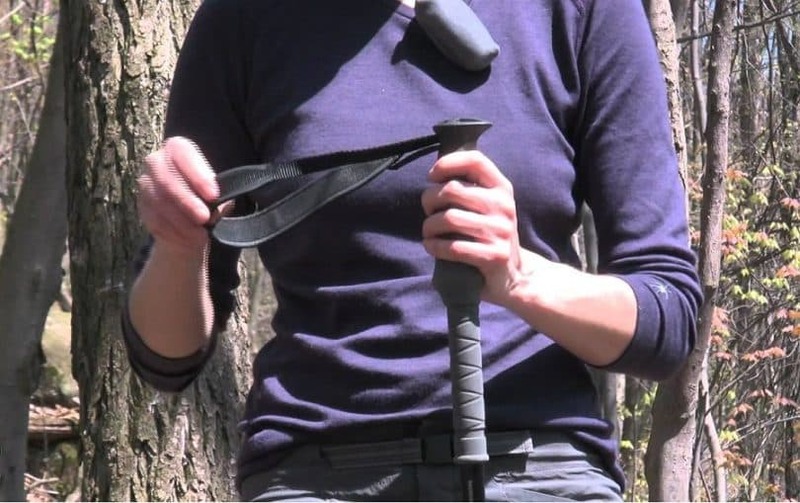 There are three basic techniques that every hiker should know when it comes to using their walking poles. They’re easy to commit to memory, but they do require some practice. Technique Number One: Gas/Thrusting. This helps you develop the momentum to move forward. Plant the tip of your pole behind your foot as you walk, usually the opposite leg from your pole. This is useful for going up inclines. In order to maintain your balance, it’s important that you lengthen your pole accordingly to whatever is most comfortable. Technique Number Two: Brake. This is for when you need to slow down, such as going downhill. Plant the tip of your pole in front of your foot and maintain a 90-degree angle with your elbow as you descend. Another key component is altering your grip so that you palms are on top of your grips so that you can steady your poles more efficiently. Technique Number Three: Coast. This method is for traversing mostly flat planes, so you’re not loading your poles at all. Simply plant the tip of the pole without loading, and your upper body can take a break. To gain maximum benefit, you can choose to use both poles at once to provide you with a lot of momentum. These are the most basic techniques that are used while hiking, and should be kept in mind as you traverse the various kinds of terrain. Also, make sure you have the right shoes for hiking in order to walk properly with your hiking poles. Now that you’re aware of how to use your hiking poles, there are some considerations you should keep in mind that will help to heighten the experience. After all, these tools are designed with your comfort in mind, so knowing what they’re capable of will help you to make a more well-informed decision when you’re ready to buy. Get poles that are adjustable in length. You don’t want to be stuck with fixed hiking poles that become uncomfortable when you start travel up or down an incline. Having rigid walking poles will add more stress to your joints and hands, and will actually hinder how you hike. Adjustable poles, on the other hand, can change in length so you can always find the right height that your poles need to be at. Adjustable poles are also collapsible, making them easier to store in your backpack when they’re not in use. Consider the material of the hiking poles you’re going for. A majority of the poles you’ll find will be made out of aluminium of carbon fiber. Aluminium is much lighter, with poles weighing no more than about 22 ounces. However, it is much more fragile and will bend more easily when put under rigorous tests. On the other hand, carbon fiber is even lighter than aluminium and much more expensive. However, it’s prone to breaking more easily than aluminium, and shouldn’t be used on very rough terrain. If you’re still confused about what you should get, then speaking with an assistant or professional at any sporting goods store is always the next best option. They can help to fit you with hiking poles that are the right height, and teach you how to hold them properly. 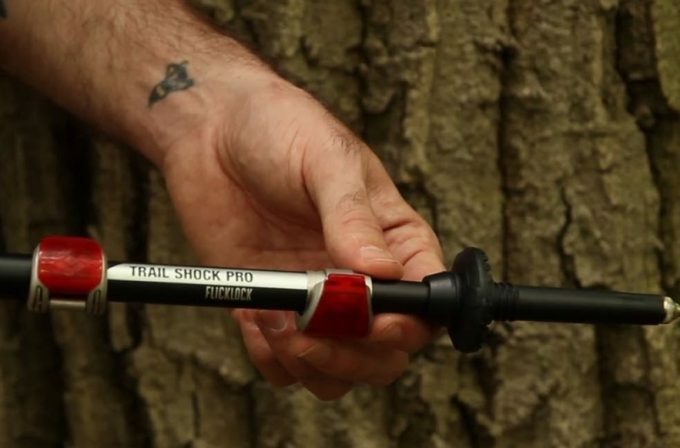 That way, you won’t fumble with your new hiking poles and risk misusing them. They may seem like a simple tool that don’t require much thought being put into them, but with how much assistance they provide during one’s hike, you should put a lot of effort into picking the right ones and learning how to use them. If you want some tutorials on how to make a walking stick, then see our article on this must-read topic.